Many think of PhDs as strong and EdDs as weak. I look at it differently. My PhD is in “Applied Anthro” so I have been dealing with these sorts of issues for some time. 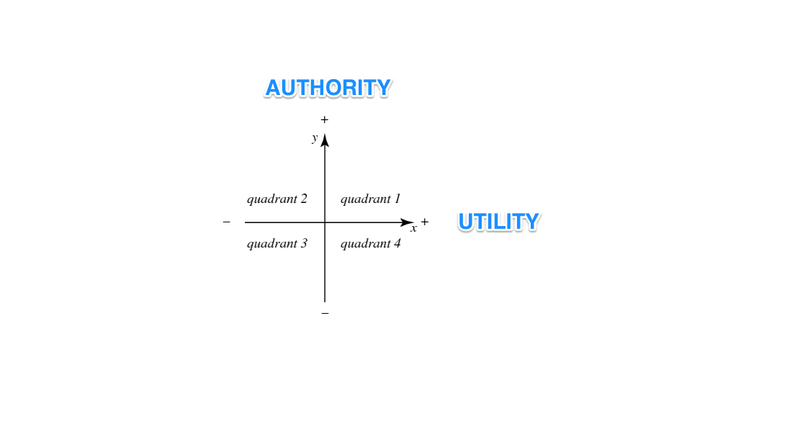 Rather than a single continuum from “strong to weak” or “good to bad”, I believe a better approximation would include the two continua of “authority” and “utility”. The authority continuum begins from the positive end indicating the commanding influence of pure academic knowledge, vetted by the elite of the intellectual community and pruned to the point of perfection. The negative end of the authority continuum represents the least reliable, spurious opinion that is equivalent to a random response. The utility continuum begins from the positive end indicating such an extreme version of usefulness as to approach the status of “required” or “that which one cannot live without”. The negative end of the utility continuum represents a level of inutility as to represent something without any value whatsoever. I. Our Doctoral Program/its dissertations, which balance authority with utility. II. PhD dissertations/programs that represent the pinnacle of authority but are often not very applicable to the real world. III. Academic BA (e.g., Anthropology). Not very useful or authoritative in and of itself. IV. Professional BA (e.g., engineering) or Terminal MA (e.g., MSW). Hunter, M. S., & Agranoff, R. (2008). METRO High School: An Emerging STEM Community. With the passage of Ohio House Bill 119, Ohio lawmakers launched STEM education across the state and established five STEM schools based on the success of Metro High School. A key question for Ohio lawmakers and the researchers was “How do we take the best practices that have emerged from the Metro experiment and further incorporate them into a successful statewide effort to expand STEM education in Ohio?” The answer, in part, was to use the Metro High School as a case study, to examine both the public/private network and community formed at Metro, and to carefully look at the emerging community within and around the school.